Construction is advancing at the Young Women’s College Preparatory Academy with work on the renovations and new addition for the all-girl STEM school nearly halfway complete. Work is progressing nicely — steel erection is complete, the metal decking has been covered with concrete, and the brick installation will begin in the next couple of weeks. YWCPA Principal Delesa O’Dell-Thomas said she is ecstatic to see progress being made, and noted she was especially excited to see the new paint colors and select new furniture for the school. This entry was posted in 2012 bond, 21st century schools, College Readiness, District IV - Jolanda Jones, News and tagged 2012 bond, BuildHISD, Young Women’s College Preparatory Academy, YWCPA on April 12, 2017 by HISD Communications. HISD Board of Education Trustee Paula Harris, before stepping down from her District IV seat and attending her final board meeting on Thursday, was honored for her leadership and dedication to children. This entry was posted in District IV - Jolanda Jones and tagged STEM, Young Women’s College Preparatory Academy on December 10, 2015 by HISD Communications. Project Advisory Team (PAT) members for Askew Elementary, Wharton Dual Language Academy, and Young Women’s College Prep Academy (YWCPA) spent two days this week in an intensive workshop to put together preliminary design plans for their new facilities. This entry was posted in 2012 bond, 21st century schools, District IV - Jolanda Jones, District VI - Holly Maria Flynn Vilaseca, District VIII - Diana Dávila and tagged 2012 bond, Askew ES, Wharton Dual Language Academy, Young Women’s College Preparatory Academy, YWCPA on April 30, 2015 by HISD Communications. Hundreds of HISD students competed for awards in the field of oil and natural gas exploration at the annual Petro Challenge held at the University of Houston Jan. 20-23, 2015. The event consisted of two days of training and two days of competition. A number of teams made up of 163 students from Energy Institute High School competed Wednesday, and Team Petros won the day. On Friday, competition took place among 210 students on teams from HISD’s other petroleum academies — Milby HS, Westside HS, and Young Women’s College Preparatory Academy. 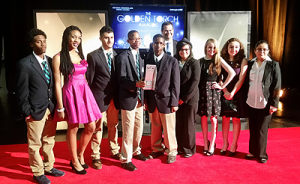 This entry was posted in District III - Sergio Lira, District IV - Jolanda Jones, District VI - Holly Maria Flynn Vilaseca, District VIII - Diana Dávila and tagged Energy Institute High School, Milby High School, Petro Challenge, Westside High School, Young Women’s College Preparatory Academy on January 22, 2015 by HISD Communications. Over the winter break, Lockhart Elementary School hosted a free three-day computer camp for 60 students in a coding club sponsored by Schlumberger, a global technology supplier. The camp was also sponsored by KidsXplore, a local nonprofit organization dedicated to teaching kids about Science, Technology, Engineering, and Mathematics (STEM). This entry was posted in District IV - Jolanda Jones, Magnet/School Choice, STEM and tagged Lockhart ES, magnet schools, Mickey Leland College Preparatory Academy for Young Men, STEM, Young Women’s College Preparatory Academy on January 12, 2015 by HISD Communications.